For the entirety of my career in human resources, HR leaders at all levels of every size organization have been talking about “high-touch” service as a goal to be achieved, a nirvana where the employee feels waited upon in a personal way, serviced appropriately and important. This concept—as odd as “high touch” sounds when coupled with HR—hasn’t changed. What has changed is the ways in which we can create this experience and the channels available to deliver it. As we continue to see and read everywhere, a resounding theme of 2019 and beyond will be the importance of a better workforce experience. The concepts of workforce experience and high touch go hand in hand, thanks to tectonic shifts in the expectation of today’s workforce, the technologies we all use in our personal lives, rapid changes in workforce diversity and the “always-on” mode of work we all operate in today. As with so many elements of HR and talent, the transformation of workforce experience is taking its cues from work done by our marketing and consumer peers around customer experience. 65 percent of buyers find a positive experience to be more influential than great advertising. When tied to HR and the experience delivered to an organization’s workforce (think of them as customers), it’s only natural employees will have a higher retention rate, employment referrals will be on the rise and workforce performance will only increase with an improved employee experience. By the year 2020, Walker, a customer-experience consulting firm, found that customer experience will overtake price and product as the key brand differentiator. Once again, there is no reason that workforce experience will not be the key driver of the employee-value proposition as we move into 2020. 32 percent said to increase cross- and up-selling. 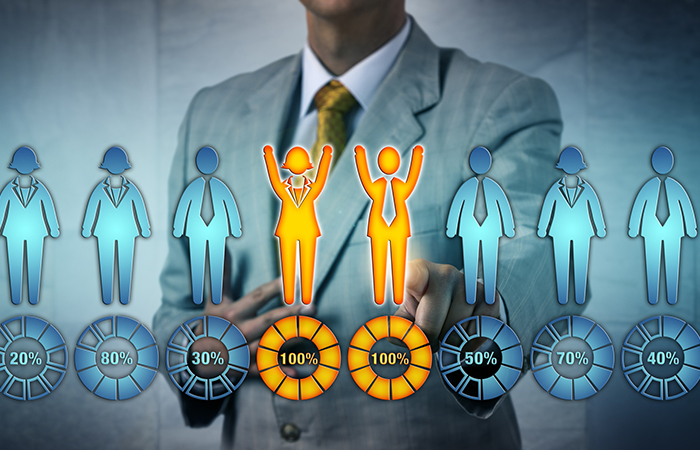 All of the above data points can be tied to your employees, many of whom are also your customers to help your organization realize the value of focusing on workforce experience. In HR, we’ve been trained to believe high touch requires and equals a “human” approach. Sure, we’ve tried to deploy a handful of “self-service” (or “direct-access”) solutions to the workforce, but overall, we’ve relied on humans to service the workforce. As mentioned earlier, we must realize we live in an era of two types of touch—high-touch human and high-touch digital—and it’s up to us to determine which type makes the most sense for our varied workforces and for our varied capabilities. There’s no magical answer, nor a one-size-fits-all approach across any one company. Conceptualizing the type of touch/service that makes sense for the workforce comes down to the channel. Omni-channel servicing is on the rise at an exponential rate, both outside and inside the organization, and results of multi-channel are showing up in spades. A recent Aberdeen Group study indicates companies with a strong omni-channel strategy showed an 89 percent engagement rate; compare this to organizations with a weak omni-channel strategy coming in at only 33 percent. It’s time all of us in HR begin to practice what our marketing colleagues have been doing for the past decade: a focus on experience, which determines your workforce’s perception of how your company treats them; an understanding of omni-channel service, which will meet the workforce where they are today; and, finally, a departure from the notion that high touch must equal human touch. There are many capabilities in today’s world that are better delivered by machines. That also happens to be how many in the workforce prefer access to them. The sooner we accept these facts, the sooner we move from transactional to strategic on the HR-maturity scale. Workforce experience is the new talent battleground; it’s time for us to respond. Our time is now to shape the future of work through digital transformation, and it can’t come soon enough. Join me at the upcoming HR Tech Conference in Las Vegas to explore this topic and more. Vendors' guarantees of complete HR compliance should be met with skepticism. Indeed-owner, Recruit Holdings Co., a Japan-based HR company has acquired Glassdoor for $1.2 billion.